In the heart of Silicon Valley, a rare jewel exists–the Emma Prusch Farm Park. 43 acres bequeathed to the City of San Jose in 1962 to support Emma’s wishes that a rural country atmosphere remains for future generations, but the park needs help to maintain the land. 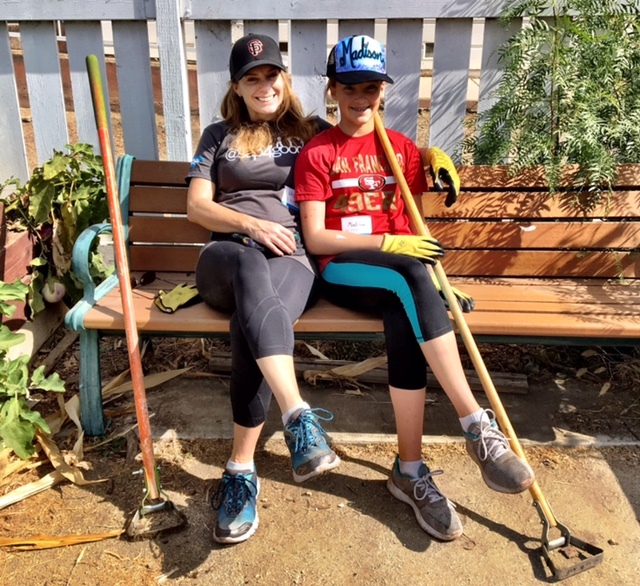 To do our part, Jenny Dearborn, Chief Learning Officer, set up a wonderful outing for SAPsv employees to give back to the community by helping revitalize the grounds of this park during SAPsv’s Month of Service. For me, this outing was a trip down memory lane. Growing up in the Bay Area, I visited Emma Prusch Farm Park as a child numerous times. As a mother, I took my children there when they were very little, but it had been some time since our last visit, as my kids have outgrown playgrounds and petting zoos. I was looking forward to volunteering as now my daughter would join me and we’d both play a role in ensuring the next generation of children can continue to enjoy this park. 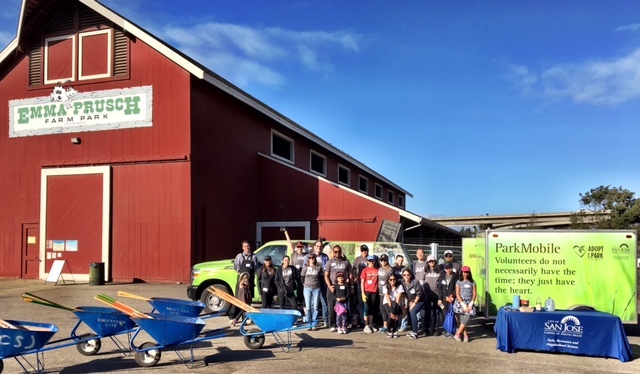 Our team goal was to help revitalize the grounds by landscaping designated areas, picking up trash, and painting faded signs and boxes. 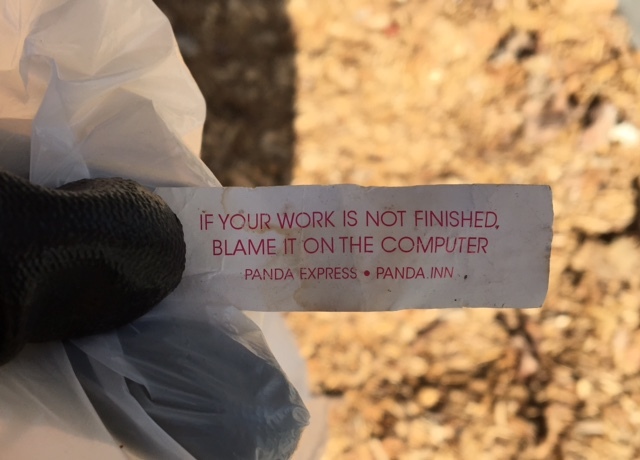 My daughter and I chose to help with landscaping. 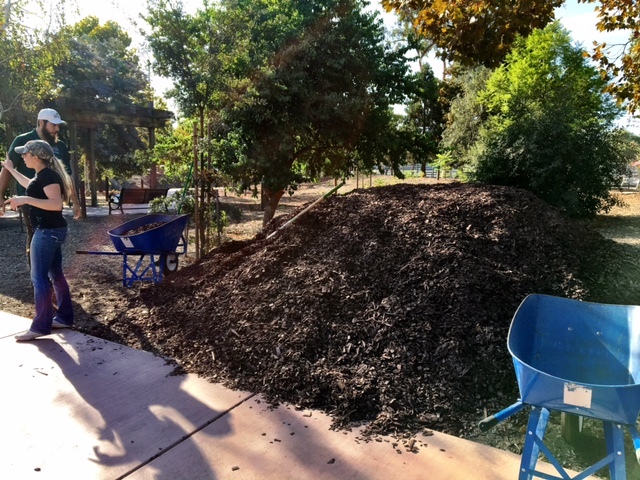 We were directed to a large pile of wood chips (seen in this photo). At first glance, I thought it would take hours for us to load the chips in wheel barrows, transport them to a designated area, and spread them out on the earth. But once we were given directions, everyone came together and we all got into a rhythm and figured it out. We even had some music and dancing to help. Our final task was to use a hula hoe to weed out the area surrounding the enclosed chicken-wire fenced vegetable gardens. 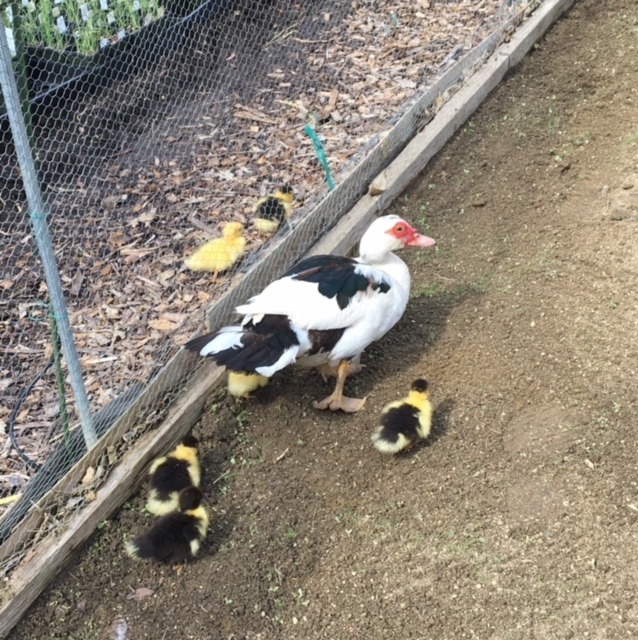 During our weeding, a mother duck and her seven ducklings meandered onto the scene. One of the ducklings managed to get stuck inside one of the vegetable gardens. Four of us put down our hoes and collectively helped set the duckling free. This was a happy ending to a very productive and fulfilling day. Through it all, my daughter and I made new friends and had wonderful conversations with other SAPsv employees. Most of all, it felt good to give back to this wonderful park that had given us so much joy in our lives.